Savitri is "a revelatory vision that gives to the unmanifest a luminous shape in manifestation." In reading Savitri "Objects beyond the reach of mortal sight come into sudden view and everything appears luminous with a perfect sense of congruity." Savitri is "replete with references to scores of types of sights and visions and gazes and eyes pertinent to different planes of consciousness of man and functioning in various fields of supraphyscial manifestation." 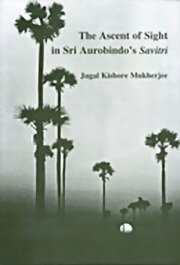 In this monograph the various levels and hierarchies of sight-perception are traced in the context of Savitri, from "the sightless sight of the inconscience through its ascending grades all the way up to the superconscient sight."